"What a father keeps hidden is revealed in the son." 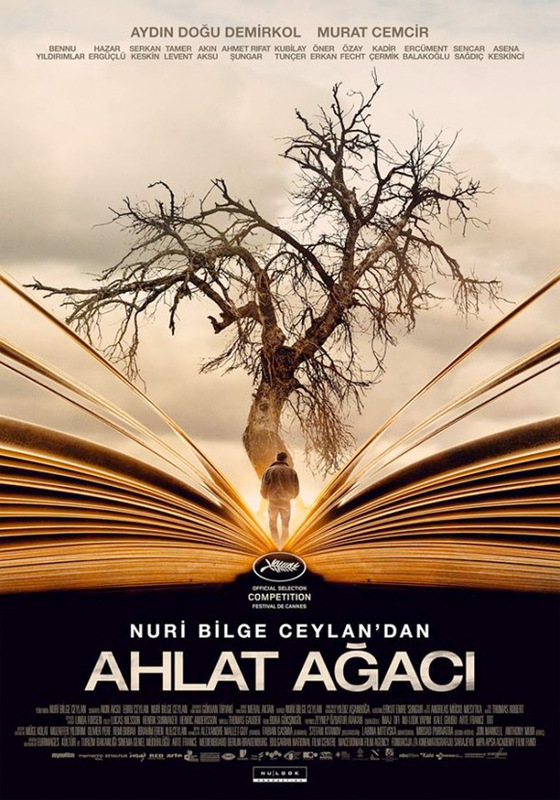 An official international teaser trailer has debuted for the new film from acclaimed Turkish filmmaker Nuri Bilge Ceylan, titled The Wild Pear Tree or Ahlat Agaci originally in Turkish. This just premiered at the Cannes Film Festival a few weeks ago, and I just listed it as one of my favorite films of the festival in my wrap-up article. This is much more of a teaser trailer and contains no dialogue, which means you don't have to speak Turkish to enjoy it, no subtitles are needed. Though it's odd because Ceylan is a master of dialogue and all of his films rely heavily on very intellectual dialogue, but perhaps that's why this is a curiously unique trailer for his latest film. It focuses more on the gorgeous cinematography and striking imagery in this film about a young writer named Sinan who returns to his hometown. This is good tease that will hopefully get the attention of a few folks out there. Take a look. Sinan (Dogu Demirkol) is passionate about literature and has always wanted to be a writer. Returning to the village where he was born, he pours his heart and soul into scraping together the money he needs to be published, but his father’s debts catch up with him… The Wild Pear Tree is directed by acclaimed Turkish filmmaker Nuri Bilge Ceylan, of the films Small Town, Clouds of May, Distant, Climates, Three Monkeys, Once Upon a Time in Anatolia, and Winter Sleep previously. The screenplay is written by Akin Aksu, Ebru Ceylan, and Nuri Bilge Ceylan. This just premiered at the Cannes Film Festival earlier this month - read our review. The film will open in theaters in Turkey starting on June 1st this summer. No other release dates have been set yet, stay tuned for updates. We expect it to play at a few more festivals first. First impression?